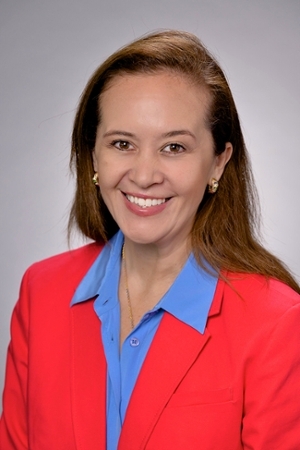 Nathalia Garcia, DDS, MS, associate professor and section head of periodontics in the Department of Applied Dental Medicine at the Southern Illinois University School of Dental Medicine appeared at a congressional briefing on July 19 hosted by the American Dental Education Association. The session examined how Title VII funding of the Public Health Services Act is critical to dental education in the fight against the opioid epidemic in rural areas. “Rural Communities and the Opioid Crisis: Examining the Impact of Funding for Dental Education and Training Programs,” gave policymakers insight into the nuances of the epidemic, including why dental schools need additional funding to target the crisis in rural areas and the role academic dentistry should play in addiction prevention. The briefing was in a room filled to capacity with more than 40 attendees. Garcia and fellow panelist Jane Walsh, program director and associate professor of comprehensive dentistry and biomaterials-dental hygiene at Louisiana State University Health New Orleans School of Dentistry, highlighted incentives that Title VII funding offers that are crucial for dental school graduates to practice in rural regions. Three Howard University College of Dentistry residents, Jennifer Collins, DDS, Katrina Foster, DDS, and Adrienne L. Perry, DDS, followed with a discussion of how Title VII programs helped them to pursue dentistry careers.